I like a lot of flavor and a lot of spice in my food. I typically believe the hotter, the better. When it comes to marinades, it’s hard to find one that has big flavor without having a lot of sugar, salt and oil. I kept thinking that there has to be a better way to make a marinade out of great fresh ingredients, that has spice but not all the sugar and fat. So I started to play around with peppers. To me peppers are the perfect vegetable. They are versatile: great in salads, as a side dish vegetable (roasted, or sautéed), an accompaniment to a protein and even as a main dish (stuffed). 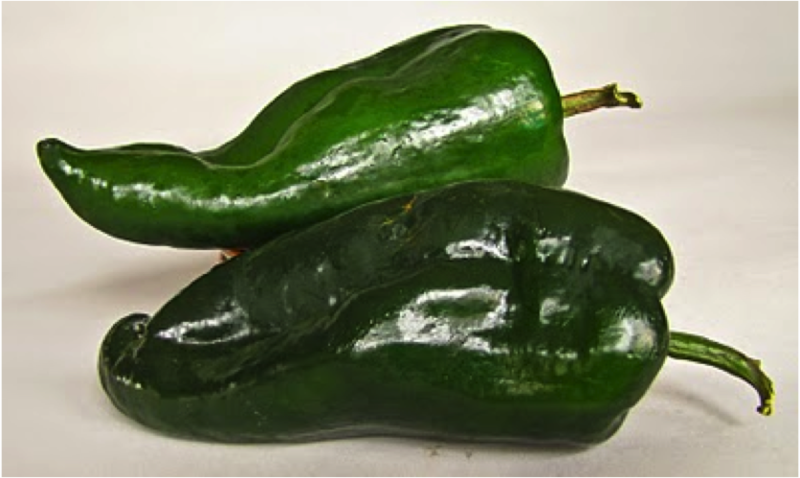 And as flavoring agents: jalapeños which I love for spice and dried peppers make for wonderful sauces, braises and stews. And they are healthy: a good source of Thiamin, Niacin, Folate, Magnesium and Copper, Dietary Fiber, Vitamin A, Vitamin C, Vitamin K, Vitamin B6 and more. I used a bunch of fresh peppers (jalapeños, pasillas, anaheims) and puree them in the food processor with other spices like cilantro, garlic, scallions, and a little olive oil and lime juice to provide the acidity needed to break down the proteins…which is basically how a marinade softens and flavors meats. I added very little oil and no sugar. The result was so flavorful. I use it as both a marinade and a salsa in the same dish. If you don’t like food as spicy as I do, you can temper the recipe by using fewer jalapeños. I have used this beautifully green marinade on chicken breasts, fish, and flank steak. My favorite is using it on flank steak. I usually serve it with corn tortillas. This recipe calls for 2 lbs of flank steak. It can serve 4-8 people depending on serving sizes. I portion out 4-5 oz for my serving so I do not overdo it with the calories. I use half the marinade to tenderize and flavor the meat before grilling. I serve the steak with grilled onions and red peppers and serve with corn tortillas and use the remaining marinade to top off the tortillas. If you want to make a big batch, this freezes well. 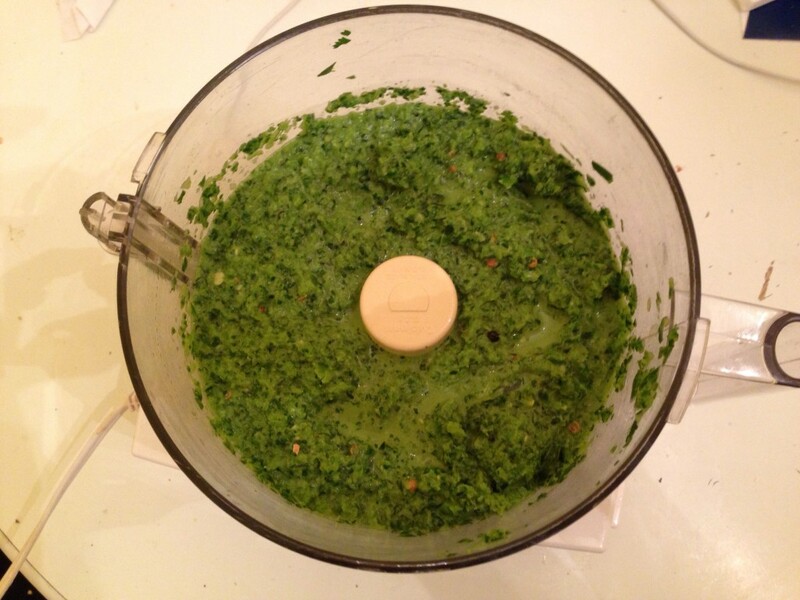 Mix all ingredients in a food processor. Process for 2-3 minutes. Marinade will be finely chopped. It will not be a puree. This entry was posted in Blog, Recipes and tagged Cilantro, Coriander, Dipping Sauce, Flank Steak, Flank Steak Tacos, gluten free, Jalapeno Pepper, Lime, Marinade, Pasilla Pepper, Poblano Pepper on July 20, 2013 by Leslie.